This board could be the first time you learn about wiring simple circuits. It could transform into a weirdo light-powered instrument. It could be a place you hold a workshop. It could even become an advanced studio for creative circuits. It’s powerful if you know what you’re doing. It’s still cool if you don’t. The OMSynth miniLab realizes a dream hardware inventor and artist Pete Edwards had been brewing for years. He tested that dream in iteration after iteration in workshops, usually involving bags of circuits and breadboards (the latter allowing for solder-free connections). And it moved with him to Brno in Czech Republic, where he joined the Bastl Instruments team. 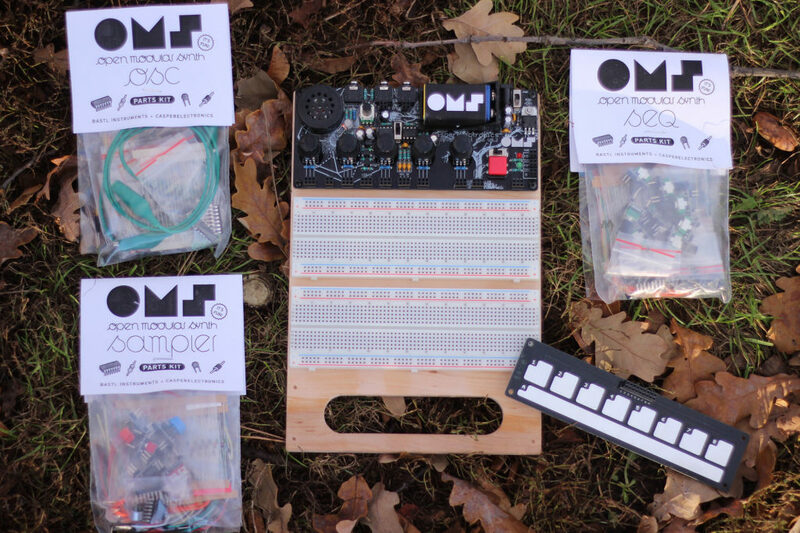 Life has been quiet on the OMSynth front – until now. And now the OMSynth is anything but quiet. Bastl and Pete (Casperelectronics) have fashioned a lovely integrated board that looks like a must-have. It’ll run off batteries, or external power if you prefer. There’s a built-in speaker, but audio out and in, too. It has a power regulator with current protection – so you’re free to wire away without worrying about short circuits and the like. There are onboard controls for testing stuff out, though you can add more, too. So that’s your workspace. But it’s with tutorials that this comes alive. There are several tutorials, which you make with dedicated parts kits (purchase separately, or together as a complete kit). You can also add on controllers to make a playable instrument, with touch, pots, buttons, and so on. They’ve also released pricing. 135€ gets you the whole thing, assembled, with the extra kits. 90€ for just the main board assembled. Or assemble the main board yourself for 70€. In other news, there are now add-ons for the bitRanger. Full board is available assembled or as a DIY kit. Here it is with the full collection of accessories part bags for the tutorials. More on this soon, but nice to see this teaser. And the thing looks great. What’s funny is, a lot of what makes this great for teaching and workshops also makes it great for everyone wanting to prototype quickly. Clever stuff.